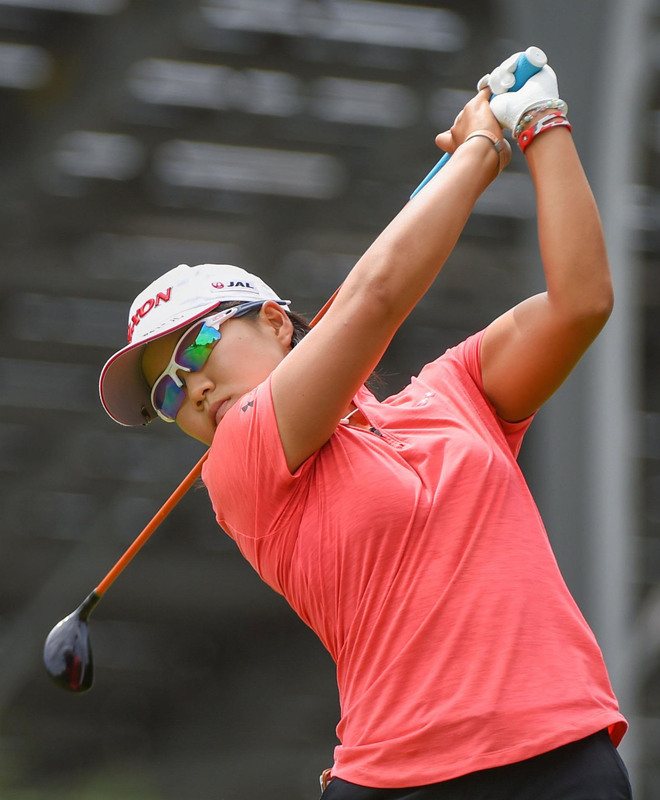 INDIANAPOLIS - Nasa Hataoka bogeyed three of her last four holes Saturday as she reached a 15-under total of 201, six shots off the lead, after three rounds at the Indy Women in Tech Championship. 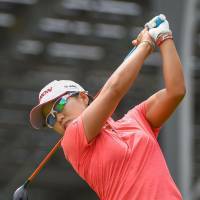 Hataoka had seven birdies before she reached No. 15 on a day the unfinished second round as well as the third round was played at Brickyard Crossing. American Lizette Salas maintained her overnight lead with a bogey-free 64. After the 19-year-old Hataoka made her first bogey of the day on the par-3 15th and her second on the par-4 17th, she took two shots to get out of a bunker then got stuck in thick greenside rough on the 18th. She recovered by sinking a 10-footer and closed out for a 68. “I dropped my score on the last four holes so I have to be careful,” said Hataoka, who has made 20 birdies over the last three days. “If I play the way I know I can, I feel like I’ll always be at the top (of the leaderboard). I have one more day to go. I’m not going to give up until the end,” she said. Sakura Yokomine and Harukyo Nomura missed the cut. Salas spent much of the day waiting patiently for Park Sung-hyun to make a rare mistake. She rolled in her birdie putt then watched Park make double bogey — a three-shot swing that gave Salas the lead and the momentum heading into the final round. She’s two shots ahead of Park and Amy Yang. The changing weather conditions may not help, either. If the forecast for mostly sunny conditions Sunday holds, the soft greens that have kept scores at near record-lows through the first three rounds could suddenly become quicker and less forgiving. She shot three sub-par rounds and finished tied for fifth here last year. This year, she has three more sub-par rounds, including a course record-tying 62 on Thursday, and has been atop the leader board each of the first three days. Salas’ toughest challenge could still come from Park, who spent most of Saturday flirting with a 54-hole scoring record.